SEO And Marketing / Does HostNed Support Mailing Lists? Our hosting services are optimized for websites and email for daily use. To keep our services clean and spam-free, we limit the number of emails that your account can send per hour. Although this makes a great environment for most, it is not designed for mass mailings and email marketing campaigns. FTP & Connecting / How do I connect to my Web Presence Builder (SiteBuilder)? We no longer support FPSE (Frontpage Server Extensions) as they are a very old and expired technology that has been abandoned by Microsoft. Beware of another Domain Registration Scam. This one from a company named iDNS (Internet Domain Name Services) from Jersey City, New Jersey. If you need help determining your real Domain Registrar, feel free to contact us or use our WHOIS Lookup here..
iDNS are fraudulently sending Domain Expiration Notices pretending to be from your current Domain Name Registrar. Nowhere in their notice do they disclose that they are, in fact, a third party company attempting to get you to switch to them as a Registrar, but that is precisely what they are doing. Here is an example of the notice. 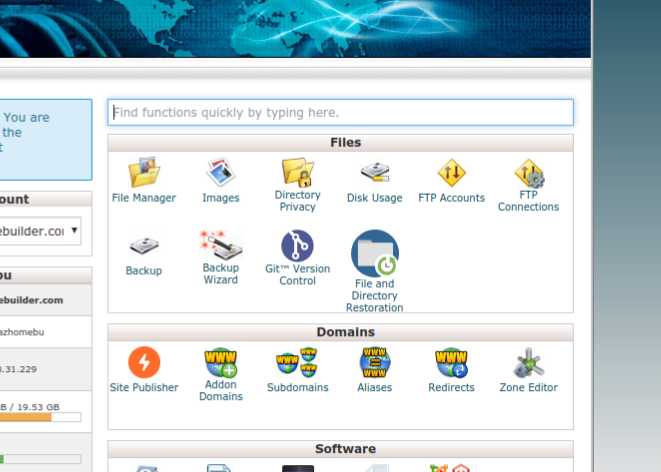 Create and manage Git™ repositories directly from your cPanel hosting control panel. You can use Git to maintain any set of files and track the history of changes from multiple editors (version control). I have been using the HostNed RainLoop for email (webmail) lately. Although it is a little limited in it's features, I have to say it is a nice email experience for something that is browser-based. Looks way better than the other standard webmail systems like Roundcube and Horde -- especially when on a tablet or smartphone. It's still in Beta, but give it a try. Thanks for your question. We see that Wordpress is the most popular by far and we fully support it here. Nothing is totally secure, but the last few years WP has been doing good by helping keep the product as secure as possible. Many have success using a Security Plugin like Wordfence or Securi. They are available in the WP plugin market. 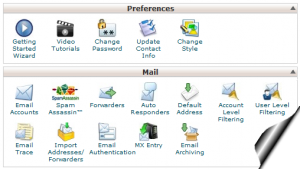 Email & Webmail / What is the policy for the email Spam folder? Your hosting includes email with advanced SPAM filtering like Apache Spamassassin. This is controlled by you from your hosting Control Panel (Cpanel or Plesk). Our policy for Spam folders is to automatically delete messages therein after 7 days. This allows you ample time to scan the Spam folder periodically for possible False Positives, or messages that should not be there. We are happy to offer Hosted Exchange email service for groups or individuals through our partner DomainsNed. Click here for more information or to get started today. NOTICE: We no longer offer any Microsoft related products/technologies for sale including Shared Hosting and VPS Server. What are the main differences between Windows Server 2003 and 2008? IP Address: Because Windows Server 2008 will be on a separate server, migrating from Windows Server 2003 to 2008 will mean that your website's IP address will change. Scripting Paths: Your website is made up of interconnected script and image files. They all reside on our servers and your scripts (like index.html) tell your browser which to load and where to find them. Migration from Windows 2003 to Windows 2008 will physically move your files from one server to another and thus require you to change the paths your scripts use to look for your site files. ODBC Drivers: ODBC Drivers allow a web application to make connections to a database. Because these drivers are of a later version in Windows Server 2008 a small change will need to be made when migrating your data. CDONTS: CDONTS is a method used to allow a website to send email from a webpage. CDONTS has been replaced with CDOSYS in Windows Server 2008. FrontPage: FrontPage Extensions allowed Microsoft FrontPage to communicate with web servers. As this is no longer supported by Microsoft, Frontpage Server Extensions will no longer be available for use on a Windows 2008 server, although Frontpage can still be used in FTP mode to edit and upload web pages. Basic/Advanced Password Protection: Basic/Advanced Password Protection is a feature that was provided by us on old Windows Server 2003 hosting packages. This allowed customers to password protect directories in their website. Once you have migrated to Windows Server 2008, this feature will no longer work. iHTML: iHTML is only supported by IIS6 and earlier. As Windows 2008 uses IIS7, iHTML is no longer supported. .EXE File Handling: .exe files are executable files. These might simply be files for your users to download or they could be CGI applications which you execute. Our Windows 2008 Server platform handles these files slightly differently to our Windows Server 2003 platform. I can take a look at this for you. Please attach your code in reply and state which browser you are using.